What Are the Symptoms of Tonsillitis in Teenagers? Tonsillitis occurs when the tonsils are infected with bacteria or viruses and become inflamed, causing symptoms such as sore throat and fever. While tonsillitis is most common in children, it can also occur in teenagers and adults. If your teen has suddenly come down with a sore throat, you should consult this list of other symptoms of tonsillitis in teenagers. Children who have tonsillitis may also experience nausea, vomiting, and abdominal pain. Diagnosing tonsillitis in teenagers is relatively simple and typically only requires a physical exam and a throat swab. Your physician will likely start by looking at the back of your teen’s throat, feeling for swollen glands, and listening to their breathing. After checking for signs of infection, he or she will likely order a throat swab to check for streptococcal bacteria (this is also called a strep test). If the strep test returns positive, your teen most likely has a bacterial infection. If the test comes back negative, the infection could be viral, but your teenager’s physician might want to order more tests to pinpoint the exact cause. In some severe and recurring cases, a tonsillectomy (tonsil removal surgery) may be recommended. If your teenager is suffering from a sore throat along with any signs of a bacterial infection, you should seek medical care. 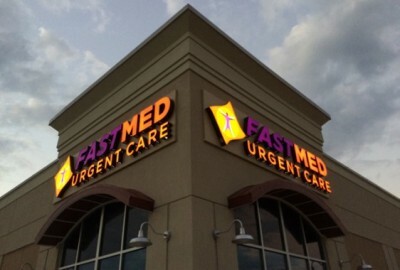 FastMed Urgent Care is open seven days a week with extended hours to provide you and your family with quality, prompt, and affordable medical treatment. If left untreated, bacterial tonsillitis can lead to complications. Don’t wait to get treatment for your teen, find a FastMed Urgent Care near you today! Check out our Health Resources Center for all of your health related questions.